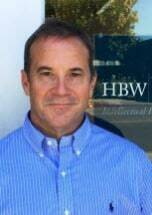 Paul joined HBW as Of Counsel in 2015. Paul counsels his clients to view developing their intellectual assets strategically. Paul serves large and small domestic and global businesses seeking to create, manage and leverage their strategic positions using effective IP protection regimes. Paul’s clients may be starting out, or may already hold extensive patent portfolios. Paul strives to identify and protect the unique aspects of his client’s strategic position to set his clients apart from their competitors. Paul directs his legal counsel at protecting client research investment and marketplace identity. His practice is focused on intellectual property counseling, primarily involving patent portfolio construction, strategy, prosecution and analysis. He is valued by clients and colleagues alike for his responsiveness, acuity of thought, and commitment to identifying and resolving potential patent-related problems before they can evolve into serious obstacles to profitability. Prior to joining the firm, Paul served as Director of Intellectual Property at Leap Motion, Inc., where he created their IP strategy and built their patent portfolio of intellectual assets covering gesture control devices, systems and software. Paul also served as Director of Intellectual Property at Salesforce.com, Inc., a publicly-held and innovative cloud computing company, where he designed and implemented their worldwide IP program, including creating a patent portfolio for the company’s pioneering technology, settling patent litigation, concluding major patent cross license transactions, and building a team of IP professionals. Prior to practicing law, Paul served as an Engineer/Programmer for IBM Corporation for more than a decade. At IBM, Paul chaired the Invention Review Board for the IBM Glendale Programming Laboratory; developed computer networking products, machine vision, robotics applications and industrial automation systems; as well as served as the technical leader of a team developing networking protocol interfaces to operating systems. Paul’s tech industry and in-house counsel experience provide him with insight into the workings of businesses and specific industries enabling him to better serve his clients. He is keenly equipped to assist clients in the development of workable solutions, processes and procedures, because he has confronted the same issues and understands the client’s perspective. Paul has extensive experience in representing clients with legal matters relating to computer hardware and software. This includes cloud computing, SaaS, web servers and web services, operating systems, file systems, encryption and e-commerce; gesture recognition; image processing; databases, DBMS and storage systems; telecommunications hardware and software including optical network switching, wireless networking and antennas and packet network rate and flow control; semiconductor processing equipment; medical devices; combinatorial chemistry and bioinformatics. Paul is admitted practice in New York and California, as well as before the U.S. Patent and Trademark Office. He received his law degree from Boston University, and his undergraduate degree in Electrical Engineering and Applied Physics from Case Western Reserve University. Director of Intellectual Property, Leap Motion, Inc.
Director of Intellectual Property, Salesforce.com, Inc.